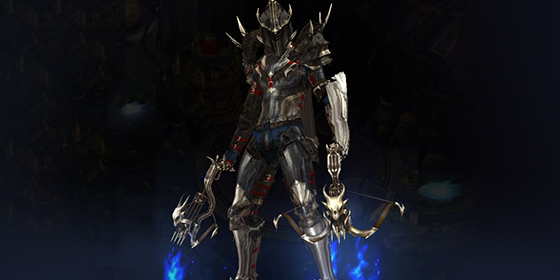 Archived posts in ' "Diablo 3"
So it only took me short of a year to post something on this page again. 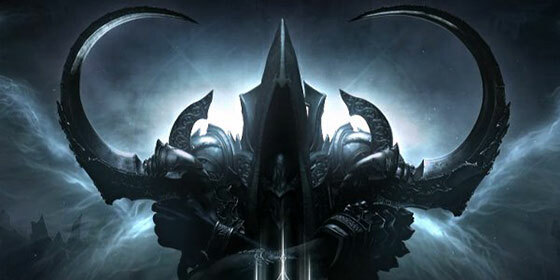 The excitement of Diablo 3, while quite exciting, is also fleeting in regards to things to do. With Season Two now alive and kicking, Animus convinced me to give the game another shot, updated patches an all. So with that, I have dusted off the clan and started a couple of ladder toons. I haven’t tried any of this Greater Rift business, but Animus and I will be forming a team around it soon. Until then, happy hunting. It’s hard for one to update the page when they are fully addicted to the game they are writing about. All of which has been a good sign, since it’s been (just about) a month of playing this expansion and I am still hooked. Primarily it’s because there are things to do, post max level, but mainly because the loot system is so entertaining. All that being said, clan member Yocks and myself are going to be doing a Bounty marathon this evening. Anyone is welcome to join. I figure this will be a good time to start up a (almost) minted lvl. 70 Demon Hunter. As far as clan maintenance goes, I updated the roster, adjusted some things in the about section (which still has a lot of work left to do), and I managed to get a nice little jQuery “scroll-back-to-top” button in the bottom right hand corner when you move away from the top of the page. Before I go into any details as to what we have been up to, I think it’s important to state the irony that I spent a better part…. 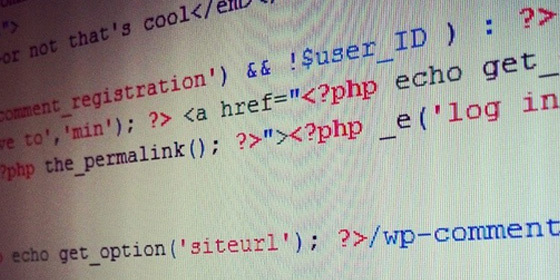 actually the whole weekend, working on the GreySoul site. It’s just something that sucked me in, it felt a lot like making the site the first couple of times around some 12/13 years ago (ps. were’re getting old). So this is where we are at, a nearly completed site. I will be spending the next couple of days taking care of janitorial stuff as far as the code is concerned, but otherwise it is done. If there are any other features that are going to come about, it will have to be at the request of clan mates because these pages need to serve more as a beacon to drive people to the chat in-game. I’ll be coming back to the game more over this next week. 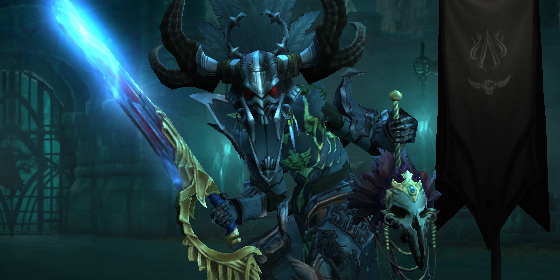 With the transmog features it has given me hope that I could salvage the look of my Witch Doctor (yes transmog is everything to me). If anyone wants to run some toons, look me up (Exile#1445). Please pardon our dust. Beta page coming this weekend. Well, I let the idea of the clan get the better of me. What was supposed to be a quick emulation of a current theme turned into a full scale design/front end development project that has left me exhausted of coding for a little while. Tomorrow I am going to launch the newest version of the GreySoul site. However, I think it is safe to say that it will still be considered very much in “beta” mode for the time being. Copy is a mess, and I still have loose ends of code that are popping up in the comment section, but other than that, I am pretty happy with it. Now if you will all excuse me, I am going to log into to the game I haven’t been able to play because I was ironically building a website for it. Continuing to (hastily) work on the site, along with member updates, etc. The image above doesn’t do the guild justice, but I felt compelled to grab a screen shot last night before I logged off. Six members is about five more than I would have been expecting at any one time. What started off as my own little slice of heaven (or hell) has turned into a nice little chat group for my friends, and a handful of old GS members from back in the day. I don’t have the exact number, but last I checked, we were up to something like 20 members with a good handful actively playing at any given time. This has sparked enough interest in me to go ahead and give this site/clan another modest run. 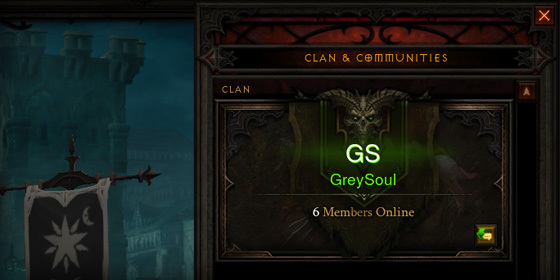 At least for as long as clan functionality in D3 proves to have a use. So that is mainly the goal of this project right now. To try and round up as many retired GS members as possible. As far as the site construction goes, I am just about finished with the homepage. Individual post pages, and links at the bottom are going to get cleaned up as I go along. I will find some time to flesh out the Roster page later this evening. 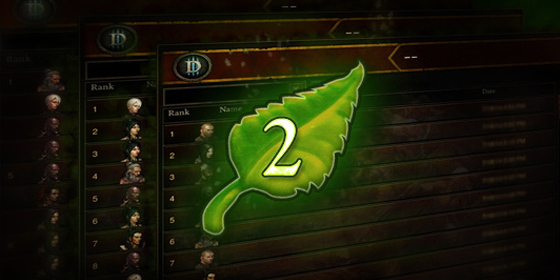 Unfortunately Blizzard doesn’t have any sort of d3 guild API, so most of this will be done by hand. More updates the follow.